Probably the longest-running (and most famous modern-day) soul allnighter – the 6Ts 100 Club Allnighter – is no more. The night is being forced to close due to a change of promoter, who is extending "normal" hours until 3am – leaving little time for an allnighter afterwards. 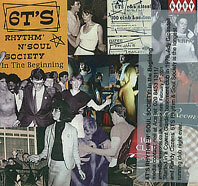 That’s the band news, but here’s the good news – the 6TS Rhythm & Soul Society night itself will continue at "Jack’s" club at London Bridge for the next scheduled nighter, which is held on Saturday 10th March from 10pm-7am. The club is a short walk from London Bridge tube and mainline station which is on the Thameslink line and easily accessible from the north and south of London. And if you get nostalgic for the 100 Club, the 6TS society is planning an occasional number of events there, but within the clubs 9pm – 3am opening hours.